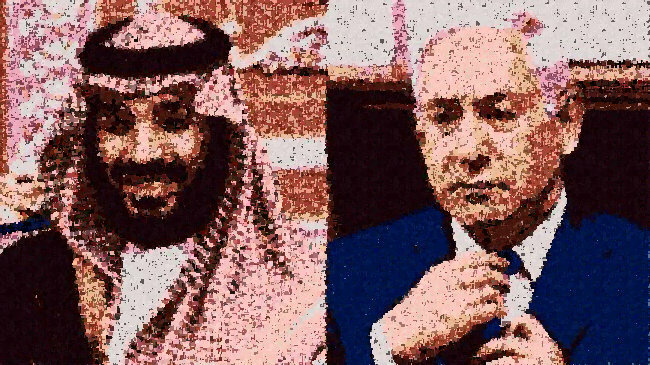 (Al-Shabaka: The Palestinian Policy Network) – The October 2018 murder of Jamal Khashoggi by agents of the Saudi government in Istanbul brought into sharp relief the deepening relations between Saudi Arabia and Israel: Israel had supplied Pegasus spyware to the Saudi government, which it used to surveille Khashoggi, and two of the Saudi aides that Crown Prince Mohammed bin Salman (MBS) fired for playing a role in the murder had been part of clandestine Saudi outreach toward Israel, including efforts to soften Israel’s image in the Saudi press. Saudi Arabia should cease all ties of collaboration with Israel, which in reality is not needed for its security. The Saudi government makes hundreds of billions of dollars in arms sales to the US every year, and as a result, the US offers the security it needs vis-à-vis Iran. But ultimately, Saudi Arabia should work to develop its own security strategy that is not dependent on the US. It should also return to supporting its Arab Peace Initiative, endorsed by the Arab League in 2002, 2007, and 2017. Deviating from this initiative has lost Saudi Arabia soft power, decreased its regional leadership, and brought even more negative consequences to the Palestinians. Finally, the regime should be transparent about the Khashoggi killing, as no actors are taking its “investigation” seriously. This is how it can exit the crisis. Al-Shabaka Member Ibrahim Fraihat is a professor of international conflict resolution at the Doha Institute for Graduate Studies, and Affiliate Scholar at Georgetown University. He previously served as Senior Foreign Policy Fellow at the Brookings Institution, and taught international conflict resolution at George Washington University and George Mason University. His latest book is Unfinished Revolutions: Yemen, Libya, and Tunisia after the Arab Spring​ (Yale University Press, 2016). He is the recipient of George Mason University’s Distinguished Alumni Award (2014) for his achievements in the field of conflict resolution. ​Fraihat can be followed on Twitter @i_farihat.